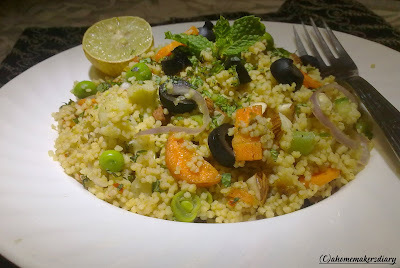 I wanted to make Moroccan couscous salad for our anniversary this year but dint find any in the market at that time. So I created THIS with broken wheat or Dalia. Last month at Spar Hypermarket saw this in the soy granule shelf and without wasting much time included that to my basket. 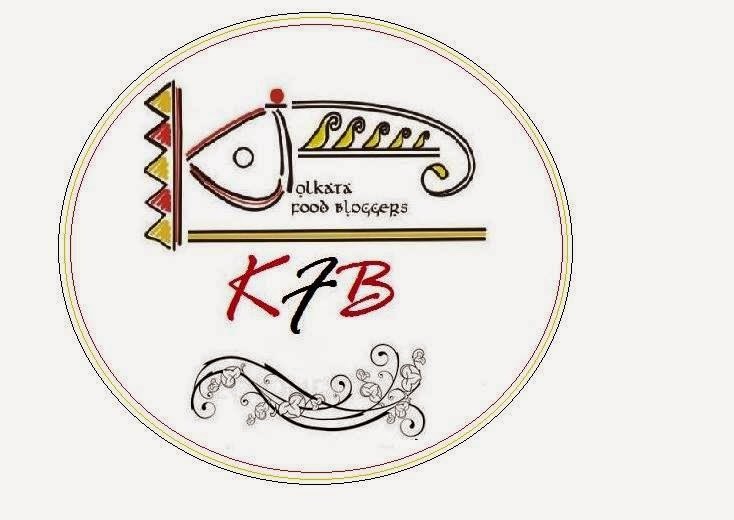 Yet again a big thanks to all you beautiful food bloggers out there who have given me courage to buy something totally new with a hopping price tag of RS.425 for a 500 gms packet. But am glad that I did that. Last Saturday after 1 hour 30 minutes of swimming session and another 2 hour visit to the Mother Earth showroom we were damn tired. Thought of ordering home delivery but then these days we really are not much into restaurant style food and both of us wanted a simple home cooked meal. So I thought of the couscous, which according to all bloggers and Nigella Lawson is the quickest possible filling and delicious meal. I already have this and this book marked from PJ and Pree’s lovely blogs. So thought of making something in the same line but a little bit spicier. Almost like Turkish Kisir or spicy form of tabbouleh cooked with bulgur. So armed with some vegetables, canned olives, fresh mint from the garden I was all set to explore my favourite Mediterranean cuisine with a complete new ingredient. I wanted to make it super quick to hit the bed at the earliest. So just chopped the veggies, micro waved to make it little tender, soaked the couscous and churned the sauce and then just threw everything together. I did not realize what it taste like but when I tried to check the seasoning I was totally bowled over by the taste. It was by far one of the most amazing tasting one-dish meals I have ever tasted. So fresh, comforting, incredibly easy and the dinner was done in flat 15 minutes from start to finish. What else does a girl after a super hectic day could possible has asked for. The rain outside and the extra time in hand made me a little romantic and I took out my finest china plates to serve the dinner. Hubby was blissfully amazed to sit around some flickering tea lights with the raindrops at the background to have his delicious meal and I almost felt like a domestic Diva…or should I say Nigella Lawson, to have successfully recreated such a scrumptious meal in minutes just by throwing this and that while flattering with the ingredients and gracefully roaming around the kitchen. Seems the dish looks good too as when I posted it on a social networking site friends scrapped and called to share the recipe. So, here it goes. Place the couscous in a big bowl. Heat 11/2 cups of water with the stock cubes, vegetables and cumin-coriander powder. once the veggies are tender (without loosing the crunch) Switch of the gas. Pour the boiling water on the couscous. Cover and set aside for 3-4 minutes or as per the package instruction. Once they are soft and no water is left, fluff them with a fork. Your couscous is ready to be tossed. In the mean time prepare the dressing. Rub little oil on the tomato and roast it on the gas flame for a couple of minutes. Then blend all the ingredients under the dressing till smooth. Keep aside. Chop the cucumber in thin pieces. Cut the onion in half moon shape. Sprinkle salt and mash them lightly with your hand. Roughly chop the mints, olives and almonds. Now just add everything together. Check the seasoning. Serve with a final sprinkling of chopped mint leaves and lemon wedges. I again made it yesterday for a quick home alone lunch with some left over sauce, cucumber, peas, onion and olives. This time I topped it with a poached egg. Loved it to the last grain. Hubby cherished his share with some quickly fried chicken sausage. In morocco a simple version of this salad is eaten with Tazine, a meat dish prepared in a cone shaped earthen pot with dry fruits. Guess our good old chicken curry with a thin gravy would taste great too. I added the stock cube for extra taste, similarly vegetable broth or chicken stock could be used. you can also add some olive oil but I did not as the stock cube was little oily. Next time am going to follow PJ's recipe with preserved lemon, chickpeas and sun dried tomatoes. 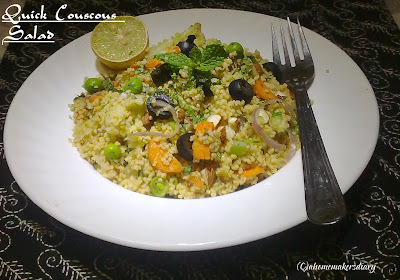 Couscous, Moroccan Couscous, Mediterranean couscous, mediterranean salad,bulgur, broken wheat, middle eastern cuisine, mediterranean cuisine, moroccan delicacy, quick meal, one pot meal, one dish meal, couscous with vegetables, olives, mint, fresh mint, kisir, tabbouleh, roasted tomato sauce, olives and mint, couscous in vegetable stock, healthy salad, Moroccan salad. Definitely a easy breezy salad, looks wholesome and yummy.. This is a such a inviting platter. Looks super delicious. I have not tried this yet .. but seen similar thing at PJ's space too ... this looks healthy and a to do .. bookmarked ! All done in 15 mins? That's really quick !!! Looks delicious and very healthy. Tumi 1 1/2 ghonto swimming korle...wow stamina ache shotti. Ami last 2 weekends dhore jete parchina. ekta weekend e "Ghuhantara" resort near Kanakpura road chole gechilam ar last weekend amar cheler b'day party chilo bole miss korlam. I love dishes that welcome an egg on top to create a complete meal. This looks marvelous, Sayantani. A healthy and tasty treat! That's a super quickie...Looks beautiful..
@Prani, my anniversary was in Jan. but thanks a lot anyways. 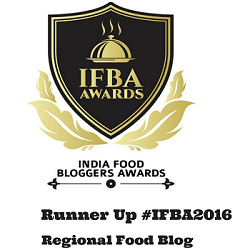 @Aipi, thanks for all your good words. these make us going. 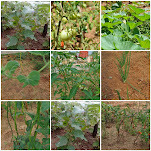 Hi dear, thanx for dropping in my blog...u r most welcome to my blog...I'm here to ur blog for the first time and soon will be ur regular visitor...keep going...happy day!!! 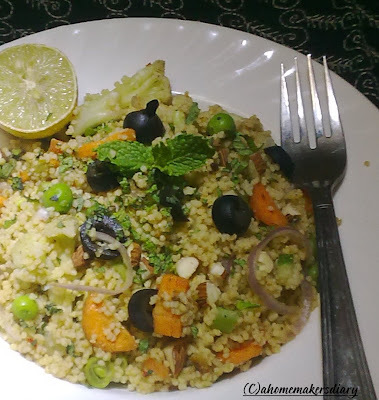 @Papia, couscous is a Mediterranean food and it does not have any other name in India. this is mainly made of semolina (suji). you will get them in any big supermarkets like Spar, Spencer's, Food world, Q mart etc. you can substitute it with dalia or broken wheat. I’m nοt thаt much of а internet гeаԁer to bе honest but your blogs really niсe, κеep it up! an individual provide for your vіsіtorѕ? if blogs uѕе WYSIWΥG еditorѕ or if you havе tο manually code with HTΜL. or if you have to manually code with HTML. ӏ'm starting a blog soon but have no coding knowledge so I wanted to get advice from someone with experience. Any help would be greatly appreciated! your uѕеful infοrmation. Thanκ you for the post. Hi thеre just wanted to give you a quick heads up. let you know. The desiցn and style look great though!